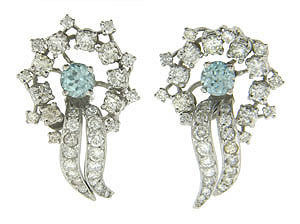 These magnificent 14K white gold estate earrings are set with round cut diamonds surrounding a single round cut aquamarine. 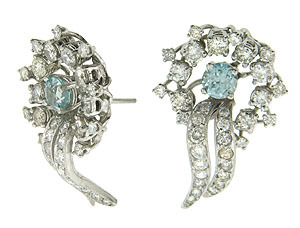 The diamond set earrings are fashioned in the shape of bold blooms, each draped with a pair of curving vines. 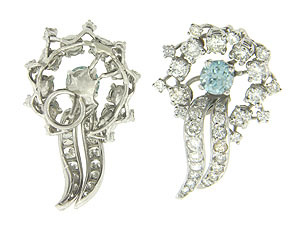 Set on posts, the earrings measure 1 1/4" in length, 3/4" wide. Circa: 1950.